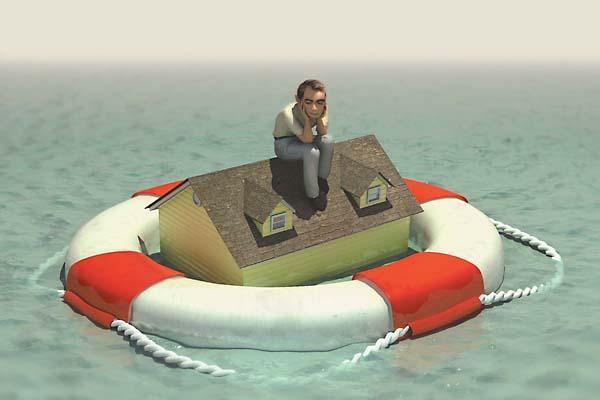 Underwater mortgages are no reason to be left behind as home sales go up. You can refinance or sell your home through a short sale or other program. Optimism seems to be seeping back into the housing market. At the Holmquist Team, we are seeing housing prices in the area stabilizing, demand increasing, inventory decreasing and mortgage relief is the talk of the town. Realtors across the nation are reporting similar findings. So even if you’re house loan is “underwater,” it’s not too late for you to get in on this growing spring market. About a fifth of the homes for sale inLongValleyand a quarter ofMountOlivehomes are being sold through short sales. So if you’re struggling with a mortgage, there are two things you should know. First, you are in good company. Second, now’s the time to do something about it. The statistics are easy to find, and the most important number is how many homes in your neighborhood are in foreclosure or behind in their payments. A Realtor can tell you that while he or she is helping you determine the market value of your home. The most important information you need, however, is about programs that can get you out from under that oppressive mortgage. If you can avoid foreclosure, you should take those steps. We’ll be conducting a free workshop at 7 p.m. Monday, March 5 at the Publick House onMain Street inChester to talk about some of those alternatives. Speakers include Kelly Holmquist, leader of the Holmquist Team, part of Keller Williams Towne Square Realty, and Marty Eagan, aMorristown attorney specializing in distressed sales. They’ll be talking about short sales, where the bank allows you to sell your home for less than you owe on it; the Home Affordable Foreclosure Alternatives program, a federal program that helps you sell short or return your home to the bank in an option called a deed-in-lieu of foreclosure; or other tactics. The idea is to free you from that mortgage you can’t afford while trying to protect your credit rating as much as possible. Doing that usually requires a Realtor, an attorney and a dose of creativity. Meanwhile, there are some other things you could be doing. Begin your spring cleaning early. To a buyer, one of the advantages of a short sale over a foreclosure is that the home is usually still occupied and in good condition. So now is a good time to begin cleaning up, fixing up and maybe rolling on a fresh coat of paint. Now isn’t the time to finish that basement or redo your bathrooms. You probably won’t see any increase in the value of your home. And, besides, as much as you like how that new bathroom looks, the new homeowner might have a different idea. What’s more important is to put unneeded things away. Stagers – people who get paid to come in and tell you how to make your home look nice – will tell you that the most common problem with a home is clutter. It makes a home feel crowded and dirty. Put things away that don’t need to be out, get rid of the beat up old chair in the corner, no matter how much the dog likes it, and take other steps to make your home shine. You’ll also need to fix what’s broken. It’s time to call the plumber to deal with the toilet that won’t stop, and have someone come and put that gutter back on the back of the house. A buyer will use such issues to knock big bucks off what he or she will pay. If you have structural problems with the home, or it desperately needs a new roof or other major maintenance, talk with your Realtor candidly about it. Together, you’ll decide what’s worth fixing and what’s worth letting the new owner fix. Nobody says you have to sell your home and move out, just because your home is worth less than your mortgage. If you’re working but you have to stretch to keep up with your mortgage, there are programs available to help you lower your payments or lower your interest rates. For instance the Home Affordable Modification Program (HAMP) can lower your monthly mortgage payment to 31 percent of your monthly gross income if you qualify. The important thing, however, is not to sit quietly and watch everything you’ve worked for disappear, including your credit rating. Now is the time to take action. Give us a call, or check with the Realtor, attorney or financial counselor of your choice. And join us March 5. Make a plan and get out from under that mortgage.